You wanna see what happens in a bag of Nips? What goes on before they touch our lips? They make a rainbow? Well, for the students of School of Fashion and the Arts, they make T-shirts. That’s right, your favorite childhood treats, NIPS, get a fashion spin as Anissa Gomez, Candleray Toreverde, Mia del Mundo, and Leonard Agustin use the candy-coated chocolates as inspiration for their t-shirt collection. Exciting! 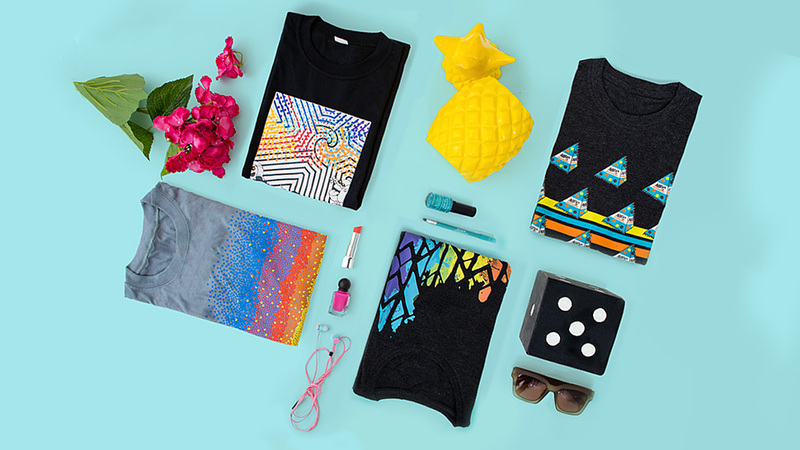 Yes, when the food and fashion worlds collide, we always get excited (think: Karlie's famous Kookies for Momofuku Milk Bar in New York, Preview's very own custom gelato, and, remember when we plastered pineapples on our every fashion item? ), so it's cool to see young, local talents get creative in this literally sweet collab. Scroll down to see each design, and vote for your favorite while you're at it. 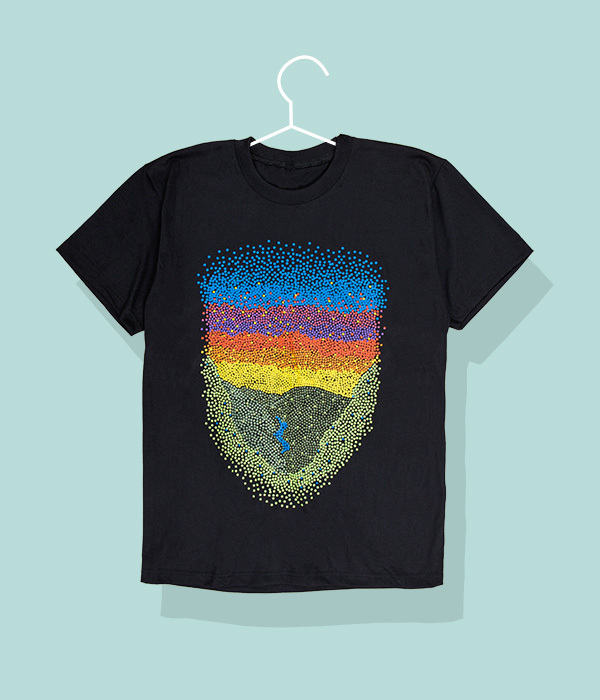 A staple shirt gets an art attack with this idyllic mountain landscape, rendered a la Pointillism art with NIPS in lieu of paintbrush points. The piece gets even trippier as the landscape is embossed against the shirt, a piece of wearable art come to life. 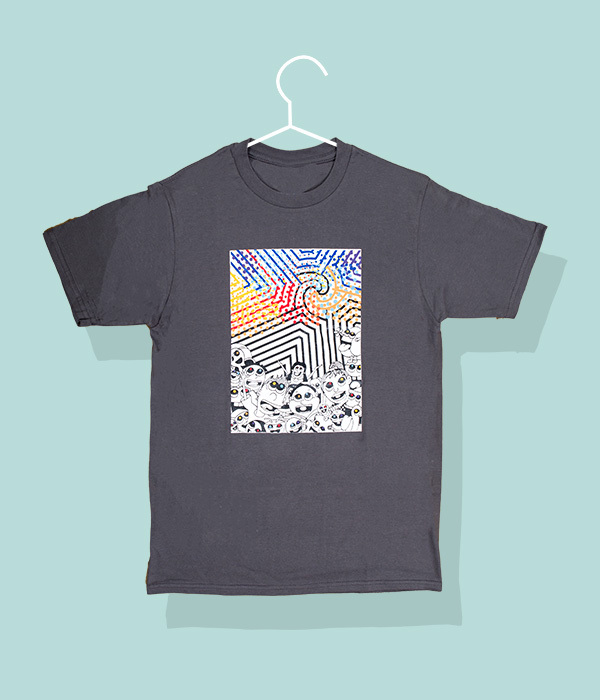 Like this art-inspired design? Vote for it here. A heartwarming image makes its way to cool territory as Candleray filtered it through a distinctly tribal pattern, created with watercolor splashes (in NIPS colors, no less). It seems like a lot to take in, but its minimalist placement against a neutral shirt makes it something worth wearing to the beach or at a music festival. Want this shirt on you? Click here to vote. 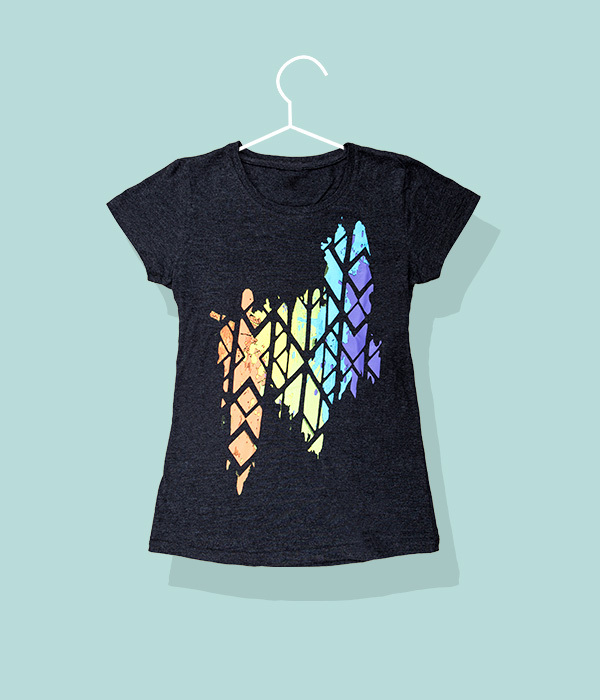 We never thought we'd sit well with yet another retro shirt revival, but Mia's design is decidedly fresh. 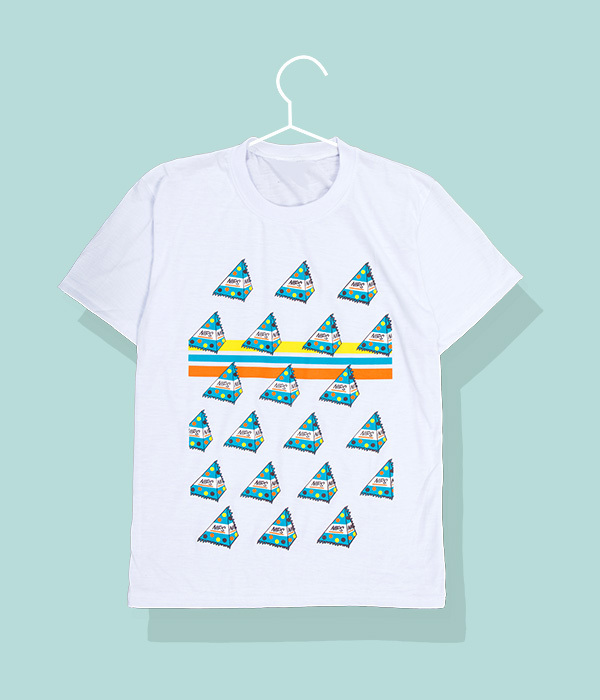 The triangular NIPS packaging illustrated and printed onto a basic tee in a vintage graphic finish is an instant hit. We’re hoping this would come in more colors. Crazy over this design? Vote now. Cartoonified subjects (chibi art, for more specific terminology) take space in Leonard's shirt as a gang of chocolate-loving chibi characters who finds joy amidst a rain shower of NIPS. Obviously, the designer wanted fun so he got a bag of nips and made a t-shirt. Feeling this tee? Click here to vote for it!